RICHLAND, Wash. – The impact of and preparation for natural phenomena hazards on the Hanford Site marks the topic of the next U.S. Department of Energy lecture, 3:30 p.m. Wednesday, April 18, in Floyd 256 on the WSU Tri-Cities campus. Stephen McDuffie, seismic engineer for the Chief of Nuclear Safety at DOE, will speak about how that organization prepares for natural phenomena such as earthquakes, floods, volcanoes, high winds and mitigation for DOE nuclear facilities. McDuffie will also talk about how they determine the requirements for its facilities to withstand those hazards. Students, faculty and the community are welcome to attend the free presentation. The lecture will be broadcast live at WSU Pullman, WSU Vancouver, WSU Everett and WSU Spokane, via the campus AMS video streaming. Both existing and new nuclear facilities must be designed to withstand natural phenomena to ensure the facilities continue to serve their safety functions during such events. McDuffie has more than 25 years of nuclear safety experience. He has served as a seismic engineer for the Chief of Nuclear Safety at DOE since September 2008. 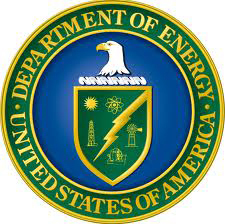 In this position, he oversees natural phenomena hazard characterization and design activities at DOE facilities and maintains operational awareness at several of DOE’s high-hazard nuclear facilities. McDuffie holds a bachelor’s in geology from Whitman College and master’s and doctoral degrees in earth and planetary sciences from Johns Hopkins University. He also holds a master’s of business administration degree from WSU Tri-Cities with a focus on decision sciences and revenue management. For more information, contact Akram Hossain, WSU Tri-Cities vice chancellor for research, graduate studies and external programs, at 509-372-7314 or ahossain@tricity.wsu.edu.